You worked hard for your collection and you deserve to show it off. Let us help you put the spotlight on your saddles and give you your space back. You know you will get more. Start with the rack that is prepared for success. No matter how large or small your order may be, the pricing is by piece. You always know what to expect, and can expect to receive exactly what you want. Have a large or odd number of saddles to display or a difficult space? Tell us your needs and we will make it happen. Shop standard sets for common rack sizes. The racks are made from solid steel! They are sturdy and strong and can handle whatever you add on! 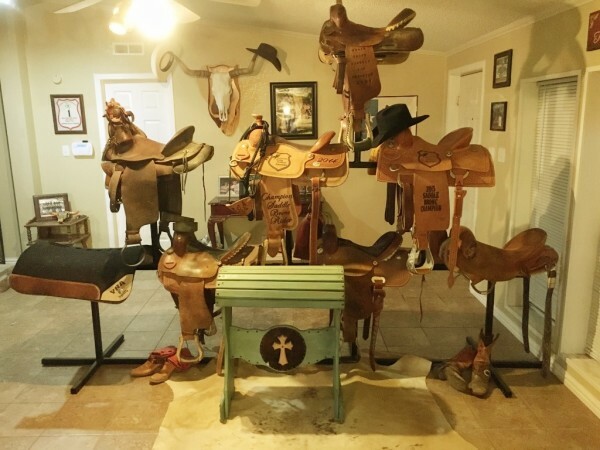 Send in a photo or a review of your Showcase Saddle Rack, we love to show off our customers! If you have any questions, please do not hesitate to send a message and I will promptly respond!